Zulu®: Open Source Java for Docker Deployments - Azul Systems, Inc.
Dockerfiles automate image creation on Linux, supporting instant deployment and execution of containers at will. A Dockerfile contains the list of instructions you would normally perform manually to create the image and saves it as a reusable file. They are stored as text files and do not require a special file name extension. Applications in Dockerfiles run in a ‘sandbox’, really a sort of lightweight virtual machine inside of Linux. They provide isolation at the filesystem and networking level, are easy to remove and easy to back up. A basic tutorial on Dockerfiles is available from Docker here and this blog post from Michael Crosby contains some best practices for using Dockerfiles. Now you have the ability to use fully supported, freely redistributable, fully tested 100% open source Java in your Docker-based deployments. Zulu® Dockerfiles are available free from the Docker Hub. You can choose from “the latest” version of OpenJDK™ (the default), select the most recent version of Java 8, 7 or 6, or even choose a very specific Java version number. Dockerfiles are available for all Linux versions supported by Zulu. The Zulu Docker repository is currently the only source for all three Java SE JDK versions that can be used seamlessly without redistribution license questions or compatibility and testing issues. Zulu is also the only TCK-tested OpenJDK 8 distribution, and the only freely redistributable standard-compliant Java SE 8 JDK available on Docker. Using freely redistributable software components like Zulu as the JVM in your Docker images is critically important so you can legitimately and automatically build new images or share images with third parties, without worrying about click-through licenses. 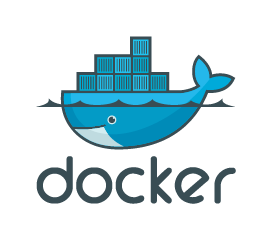 Docker users can fetch, unpack, and run Zulu essentially in one step. The Docker file pushes Zulu binaries from the Azul Yum/AptGet repository to the target machine. On the target machine, Zulu and your Java application run inside their own Docker runtime container, forming the lightweight virtualization sandbox. Once created, it’s easy to replicate the Dockerfile containing Zulu and your app to create more instances. Zulu Dockerfiles are particularly helpful for Cloud deployments, where instances need to be created and torn down quickly based on load or business need. For more information on how to install a Zulu Dockerfile, please see the Zulu documentation. Updates to the Zulu® Dockerfiles can be handled automatically using Apt-Get.